All members of the La Ceiba police force are going to be investigated to determine if they are linked to gangs operating in the city, according to the Director-General of the Preventive Police, José Ricardo Ramírez. 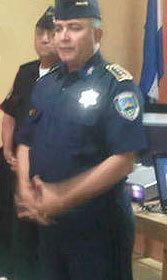 National Police spokesperson, Sub-commissioner Héctor Iván Mejía, confirmed that the La Ceiba police force would have 100 additional officers to assist with the protection of its citizens while the other officers are being researched. According to the official, the members are being investigated to see if they are involved in criminal acts, and “if some of the assumptions are founded, we will proceed to prosecute those responsible”. This morning, the directors of the National Police met with the La Ceiba Mayor, Ceibeño Carlos Aguilar, who has been concerned about the violence in the city. In January of this year, the Municipality of Tela intervened and relieved all agents of the preventive police, traffic police, tourism police, and the DNIC (National Directorate of Criminal investigation) of their posts.